Companies presently offering Mechanical Engineer job vacancies in Western Cape include University of Stellenbosch, AVI, Private Property.. 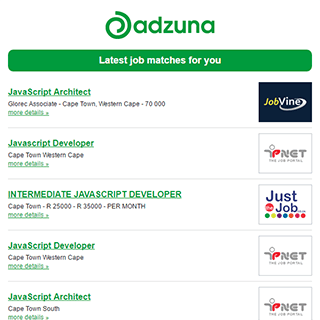 The Adzuna recency index score for this search is 1.03, suggesting that demand for Mechanical Engineer job vacancies in Western Cape is increasing. There are 324 Mechanical Engineer job vacancies in Western Cape available immediately, compared to 259 in Cape Town Region. Get the latest Mechanical Engineer Jobs in Western Cape delivered straight to your inbox!